It’s no secret that entry-level accountants work ungodly hours, especially if working for a Big-4 firm. So it’s no surprise that many get burned out. And if you are one of the ones burned out, you might be looking for other options, such as starting your own accounting firm. If that is your goal, you’ve come to the right place. I have compiled an extensive guide for you to start your own accounting firm successfully. Chances are you will not be able to do much without experience at another accounting firm, especially a big one. 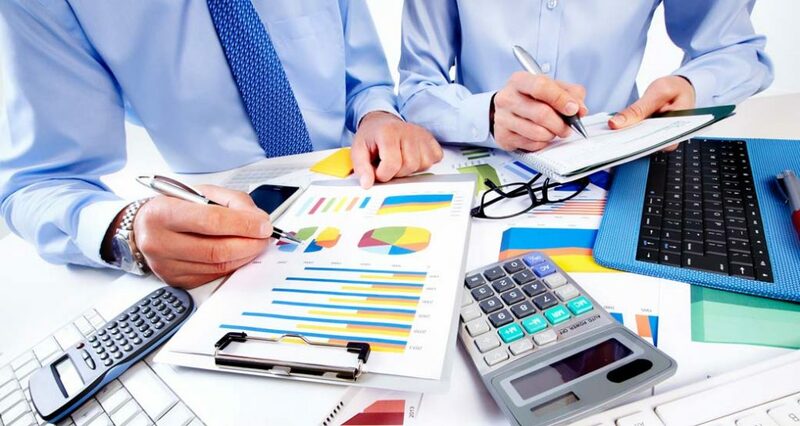 Having experience in an accounting firm will provide you with knowledge of the business as well as business contacts you can get in touch with at a later point in time. I have friends that have ventured out to either tech firms or start their own business after a few years at a Big-4 accounting firm. And they have all said the same thing; even though the hours were hellish, the experience is one of a kind and they would not be successful without it. So if you have a chance to get into a big accounting firm, don’t pass it up to start your own accounting business. Get the necessary experience first, then start your business. But aside from the contacts and the knowledge, there is another important reason why working at a large firm is beneficial; they pay for you to get your CPA. The overwhelming majority of accounting firms will pay you for any prep materials, exam fees, and prep classes that is directly responsible for you getting your CPA. You need that CPA license to open up an accounting firm. As with any business now, a website is needed in order to thrive. Five years ago, a business could survive without a website. Now, it is much harder to do so. A website concept should be one of the first things you think about when you are starting your accounting business. Your website can be as cheap as $0 (if you do it yourself) or as expensive as $5,000 if you have an experienced local designer do it for you, with all the latest bells and whistles. For the most part, your website doesn’t need to be too fancy. Some people opt to have an online portal for clients to pay but I don’t think that is necessary when starting out. A 5-to-10 page website giving detail about your business and yourself should be enough for you to start. If you decide that an online payment portal is necessary later on, you can add that. With Namecheap, you pay once a year, at $19. So you have to commit to a yearly plan. But it’s very cheap. With Bluehost, you have the option to pay monthly so you are not locked in for the whole year. So after a couple of months, if you decide to change your mind, you can cancel. Your logo is your company’s image and will go on your website and your business card. Although a logo can cost a few hundred dollars, it can cost as little as $5. How? Well, there is a website called Fiverr that will let you hire designers for as little as $5. Of course, for this price, there isn’t any chance for modifying your logo. You get what you get. You just tell them your idea of what you want for a logo and let them do it. For the most part, I have gone to Fiverr for all my website logos, including this one. You can start on Fiverr to see if you like it. If you want to the designer to revise your logo, just pay a little more for the revision. But I definitely think Fiverr is worth it for logos. I wouldn’t go to Fiverr for anything else though. When it comes to taking payments for your accounting business, you only need to know of Stripe and Square. Square was originally built for brick-and-mortar as well as mobile businesses. Stripe on the other hand is intended for taking online payments. As you can see, Stripe Payment and Square have a lot of similarities, but they also have some differences. Both offer free trials so if you want, you can try them both out to see which one fits your business best. So when it comes to small business invoicing software, the two biggest names are Freshbooks and Intuit Quickbooks. But there is also a third option that is getting fairly popular; that option is Zoho Invoice. For the most part, all three offer pretty much the same basic functionality. You can’t go wrong with any of them. They all have a mobile app, a client portal, recurring invoices, income tracking, third party integration, and pretty much anything you can think of when it comes to invoicing. It just boils down to preference and cost. From the looks of it, Freshbooks seems to be the most expensive of the bunch, costing as much as $50/mo for its most expensive plan. Meanwhile, Zoho Invoice is the cheapest of the bunch, offering a free starter plan. Networking events of business owners are great for getting new clients. At these business networking events, you will meet a bunch of business owners or potential entrepreneurs. Business people are the people that need accounting help the most because of the complicated nature of their income and net worth. If you go to a lot of these events and start making a name for yourself, you can become the “go-to” accountant for local business people in your area. Blogging is a great way to market yourself in the long-term. Blogging shows expertise and provides you with valuable leads. For instance, you can set up a blog that talks about accounting and taxes for small entrepreneurs. Blogging costs almost nothing from a monetary perspective. All it does cost is time. But that’s just like anything worth doing. Blogging has provided my business with endless leads and the leads come now without me having to do much work for the most part. That’s the great thing about blogging, the more upfront work you do, the less work you have to do on the backend. Post on Craigslist under the "Services" section. But make sure to not only post once. Post multiple ads. I know people that have Craigslist bots that automates the posting of their ads so that a new one is posted everyday. This ensures that your ads are seen everyday. It costs nothing to post in the "Services" section. Try running Facebook ads. Facebook ads are a great way to get cheap clicks to your website from local leads. Market to local business people, especially around tax season. Send them to your website where you have an e-mail capture page set up. To learn how to run Facebook ads, sign up for one of Udemy's classes on it. Try Google Adwords ads. Google is the creme de la creme when it comes to online advertising. The leads are strong, but the cost is also massive. I don't recommend using Google Adwords unless you have learned a bit about landing page optimization. You can also hire a service provider who will handle this for you. But again, the ads are expensive and will be more expensive when someone else handles it for you. But if you don't mind the cost, you will surely get business with Google Adwords. Search Engine Optimization (SEO). Optimize your website so that yours is one of the first to come up when someone searches for a local accountant nearby. I will have a complete guide to local business search engine optimization soon. But in the meantime, go to this page for it. But if you don't want to bother, then do what I recommend below. The tactic below will be 90% of what you will need to do to optimize your website for SEO. The tactic below is also going to massively affect your bottom line. Establish a Google Business listing and get reviews for your business. Once you establish your listing on Google Business, tell all your customers to give you a review on it. The more stellar reviews you get, the better it will be for the online presence of your business.